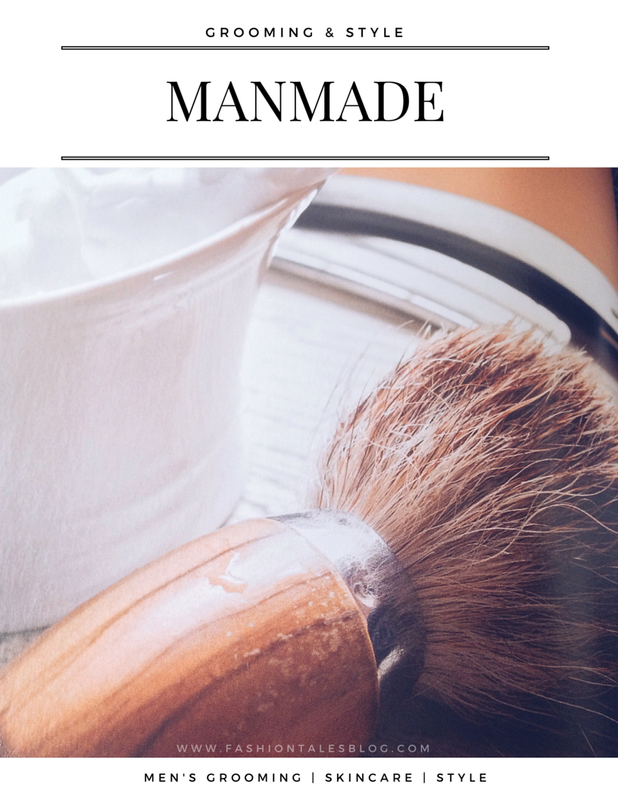 I recently read MANMADE, a book on men's style and grooming by Chris Salgardo, president of Kiehl's Since 1851. Firstly, this would be an excellent gift for the man in your life, whether your husband or father. But, I decided to get this book because being a former menswear designer and tailor, there were times in the past where I had to style and groom my own models. Now, even though I am not really in that part of the fashion industry anymore, there are times when those skills are still needed to help others. Plus, the mister himself was interested in learning about Salgardo's insight on proper men's grooming. There's nothing like a well-dressed man, even better, a well- groomed man. For the man interested in expanding his knowledge and learning a few tricks of the trade, or looking for great style tips that he can use daily, then this book would be a great reference. To be honest, I did not expect much initially, but after delving into the book I was rather surprised at the amount of information given. It reads very easily and almost as if you're flipping through a magazine. Alongside several style hacks from grooming primer tips to travelling easier in style, the content is well balanced with visuals as well as "how-to's" for every occasion. "Keeping it simple" doesn't have to translate into "letting things go," said Salgardo. 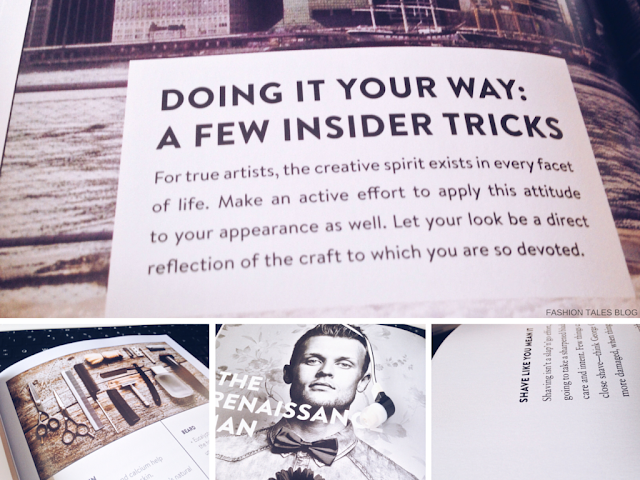 Instead, the book focuses on being intentional and precise with your skincare products. Actor and philanthropist, Anthony Mackie wrote the forward of Manmade and zealously shares his experience about how being educated on taking care of his skin has helped him immensely. A person's face is one of the first things that you see upon greeting, so why shouldn't you take it to the next level? As our sartorial style should express our personalities, grooming should be just as essential, personal and expressive. After reading this book it made me ponder that as women we usually pass on beauty and skin care knowledge to our daughters; ancient regimens and plebeian remedies from great-grandmothers, and mothers are taken with the highest regard. It's a normalcy that tends to be a given principle taught during adolescents, at least this was the case for me. For men should it not be the same way? Fathers taking the time to teach their sons how to shave, and how to care for their skin. Just as going to the gym, consistency and dedication are just a couple of indispensable elements to maintain a comely appearance. But, as Mackie mentions, his father just used a mere bar of soap for everything, so Mackie's later knowledge on grooming helped him greatly. After meeting Salgardo he had a better understanding of why proper grooming was so important. 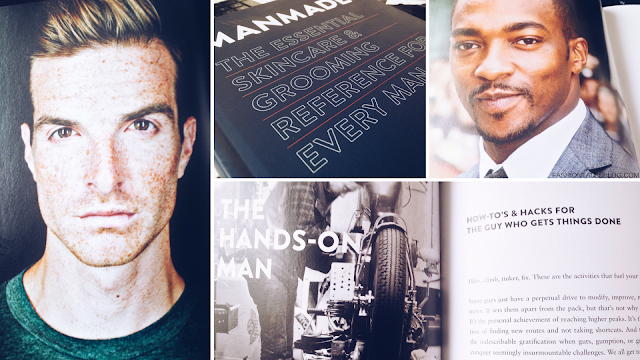 Manmade is filled with answered questions and style suggestions for men's skin. It's really perfect for novices to learn the fundamentals in men's beautification, or for any stylish gent who has somewhat lost their footing in the grooming arena. The goods: Manmade by Chris Salgardo. To learn more about the author click here. I was given this book via the publisher for an honest review. For more information or to purchase the click here. What grooming styles do you like best in a man (facial hair, smooth shaving, etc.)? Have you read Manmade?